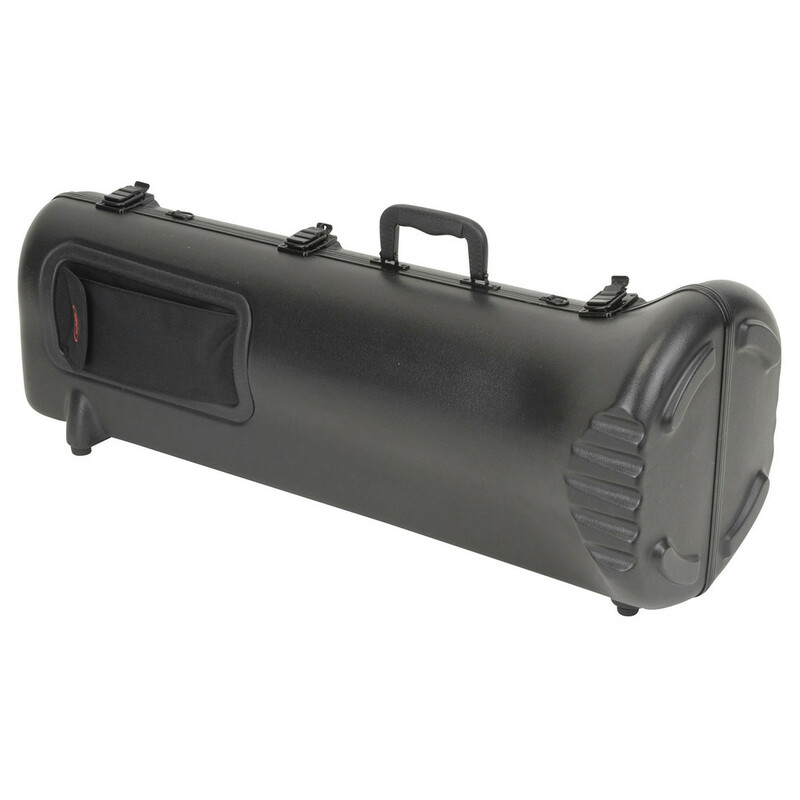 The SKB Pro Universal Tenor Trombone Case is a highly-durable, lightweight transport case designed to accommodate F-attatchment horns including large and small bores with up to a 9'' bell. 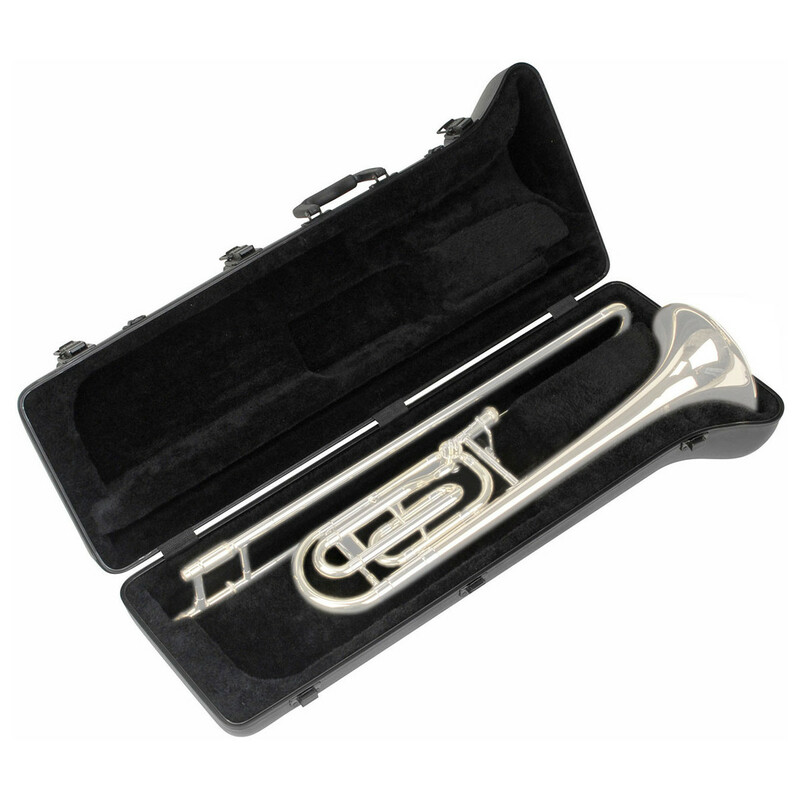 The interior of the case features a plush lining helping to keep to minimise any movement inside the case and in turn securing your instrument. The case also features perfect fit valance with a D-Ring for the strap. The hardware is reinforced with backplates for added durability as well as an exterior accessory pouch for added convenience.